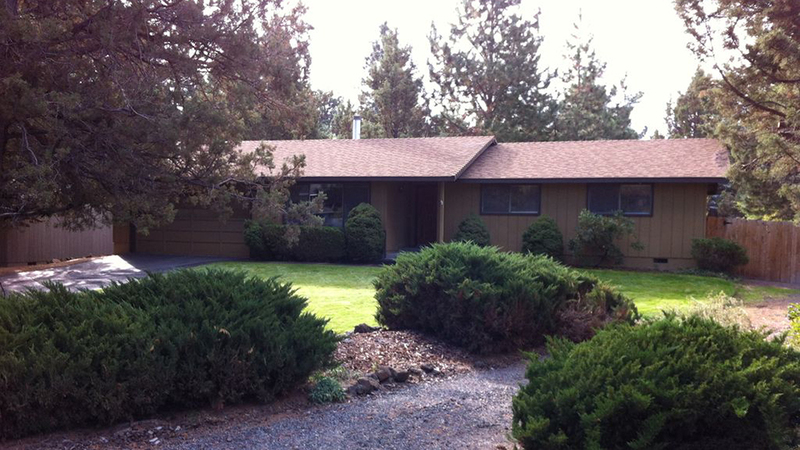 If you’re gathering a big group for your visit to Bend, Pine Forest Retreat should be on your list. This four-bedroom, two bathroom home easily sleeps ten guests in comfort. The tasteful cabin décor will have you feeling like you’re in a secluded mountain hide-away but the mid-town location could not be more convenient. One block from the Pilot Butte hiking trail, three miles from the Old Mill District and downtown Bend, 25 minutes from Mt. Bachelor and the high lakes; Pine Forest Retreat is in the middle of it all. Enjoy a day of hiking, biking, skiing, rafting, kayaking, fly fishing, antiquing, and shopping, and don’t forget Bend’s amazing restaurants and breweries. Back at “home”, you can relax in the large, fenced, private backyard or grill and dine on the private patio. You may even have deer or squirrels as your guests. Inside, the home features all the comforts you could want; four themed bedrooms, a living room has comfortable seating for all, a 42” flat screen TV, free Wi-Fi, and a gas fireplace surrounded by local lava rock. Make Pine Forest Retreat your home away from home.